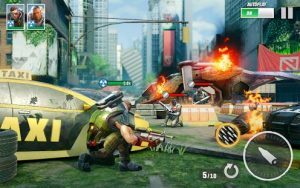 Hero Hunters : Download the best hero based RPG shooting game for free. Play the Top RPG Shooting Game for FREE! Download Now! What says “Valentines” like mayhem in the Razordome? Join us for the Razordome of Love event. Cupid Cross is sure to catch everyone’s attention. A new lady joins the frontline. She’s protective of her allies and fearsome to her enemies. Come say “Hello” to Bucket.